This year, Ms. Sara Hall joins the Middle School as a new teacher in the Spanish Department. She will teach Spanish levels 1A and 2. 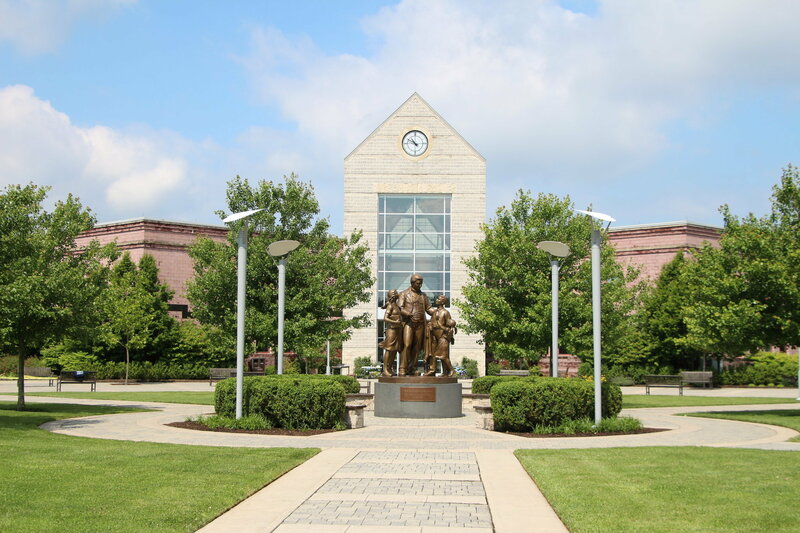 Before coming to Pingry, Ms. Hall taught Spanish for 9 years in Illinois and Connecticut, mostly in urban public schools. She has also taught at various charter and magnet schools. Most recently, she taught Spanish at Southern Connecticut State University for two years. Ms. Hall has taught to a wide range of age groups, from kindergarten to college students. Except for one year in which she taught English Language Arts, Ms. Hall has always taught Spanish throughout her career. Conversations with Assistant Headmaster Delvin Dinkins and World Languages Department Chair Steve Benoit first sparked Ms. Hall’s interest in working at Pingry. 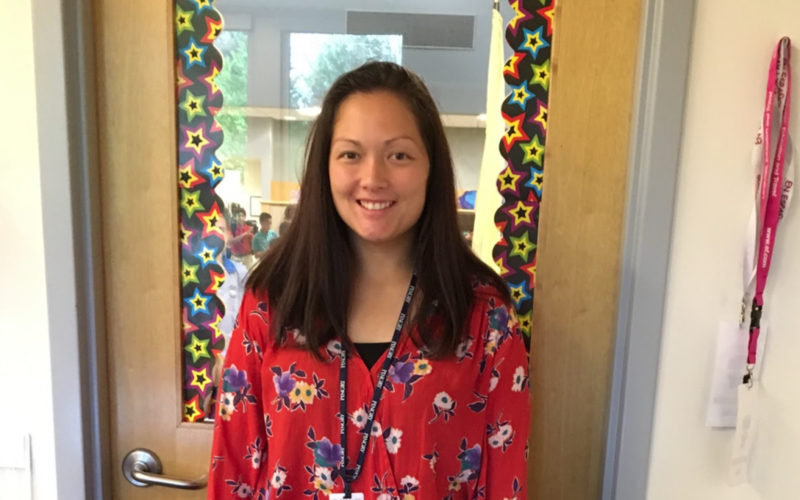 She found through speaking with them that Pingry matched her educational philosophy in important aspects that her last school didn’t share, such as Pingry’s goal to develop the “whole child” instead of just their academic side. She appreciates that Pingry recognizes this and teaches both character and social development to its students in addition to its curriculum. The emphasis on diversity at Pingry further resonated with Ms. Hall. “I absolutely love the focus on diversity and inclusion,” she said. As someone in an interracial relationship with multiracial children, “it means everything to me.” Her favorite part of the rigorous interview process was talking to Dr. Artis and the Diversity and Inclusion Department, because they know “there are unconscious biases that we need to overcome. Lots of adults don’t know that they have those biases or are uncomfortable with addressing them.” She agrees that the school needs to make sure that everyone has these important conversations. As a teaching assistant for sophomores in an English class in her senior year of high school, Ms. Hall first found her love for teaching and sparking interest in students. “It felt so natural – I knew at that moment it was for me. . . . There’s this lightbulb. Sometimes the light’s already been lit, and sometimes the light ignites later on. But being part of igniting that light is the reason,” Ms. Hall said. Though she only started learning Spanish during her sophomore year of high school, Ms. Hall hopes to convey to her students that anyone can become good at Spanish. “My father’s from Indonesia but never taught me his language,” she said. Ms. Hall has one Mexican cousin, but she does not speak Spanish natively. She hopes to show that she is “living proof that you can come from a different language background” and still be able to love and become fluent at a language. One of Ms. Hall’s goals this year is to focus on utilizing the Spanish language as much as possible. She realizes that some are hesitant to use the language because they’re afraid that they won’t use it correctly. Ms. Hall hopes to eliminate this barrier between different levels of proficiencies among her students. “Conference Period is a huge factor in this challenge,” she says, as it allows students to see her for extra help. Ms. Hall hopes that she will be able to teach students to be proactive about coming to see her for extra help to identify their weaknesses.